Our little baby girl is almost 1yo, the sun is shining bright, the weather is pretty hot and the market is invaded by numerous fresh, ripe fruits like apricots, cherries or strawberries. Well, in fewer words, it is the perfect time for ice cream. I, personally, love ice cream. It is my guilty pleasure, along with chocolate and watermelon. But, because I want to share ice cream with my little daughter this year, I decided to prepare it at home. I have already tried several recipes from these books and they came out really tasty. However, because, apparently, my daughter enjoys ice cream and, especially, frozen yogurt as much as me, I wanted to make the whole process easier and I bought an ice cream machine. After carefully analyzing various appliances, I finally purchased Cuisinart ICE-30BC Pure Indulgence 2-Quart Automatic Frozen Yogurt, Sorbet, and Ice Cream Maker. And, well, it turned out to be a great and useful investment. We all know how toddlers have no patience at all, so the best part of buying an ice cream maker is that it saves me a lot of time. It is extremely easy to use (it is fully automatic). It fits well in the kitchen, as it is not very large (8-¼ in by 8 by 11-¼ in / 22cm by 21cm by 29cm). 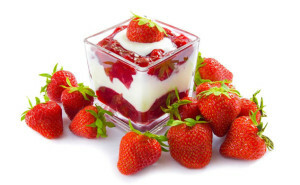 You can make not only the classic ice cream, but also other desserts, like: frozen yogurt, sorbet, frozen drinks. It makes really creamy desserts (without those annoying ice chips). The ice cream is ready in no more than 25 to 35 minutes. It has an ingredient spout through which you can pour the recipe ingredients or add ingredients, like pieces of fruit, chips or nuts, without interrupting the freezing cycle. You can use it to easily make desserts for all the family members (ex. alcohol cold drinks), for special occasions or parties. It won’t necessarily save you money (as the machine itself and the ingredients are not inexpensive). 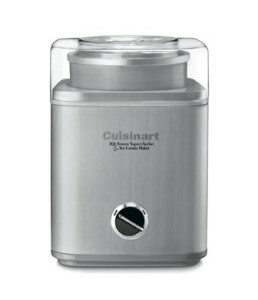 If you are an ice cream fan, but also enjoy healthy, homemade desserts, Cuisinart ICE-30BC Pure Indulgence 2-Quart Automatic Frozen Yogurt, Sorbet, and Ice Cream Maker is an appliance worth buying. If you plan to share the tasty homemade ice cream with your toddler or child, make sure you only use healthy (organic) ingredients and give him moderate servings. Do you make ice cream at home? Have you ever used an ice cream maker? Was it a good investment?